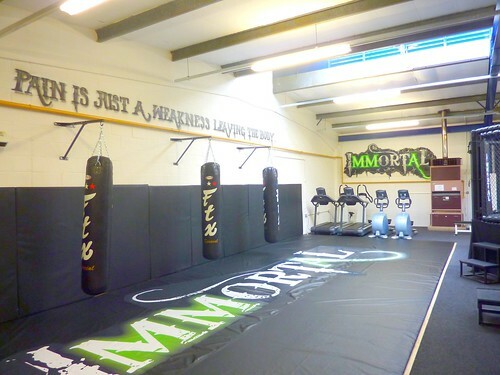 In August 2011 a new MMA training venue was being established in Stacey Bushes, Milton Keynes. 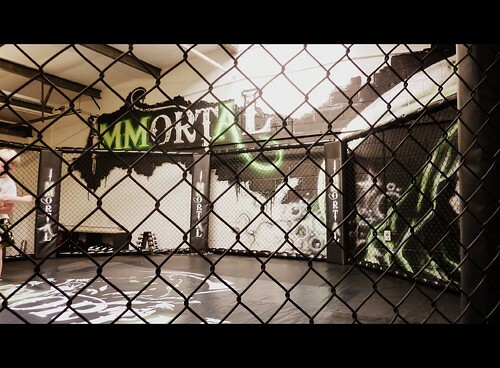 Darren from Immortal got in touch with Arkade graphics to paint the interior of the gym with its uniquely styled theme. 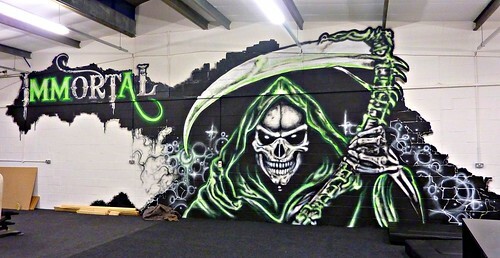 This entry was posted in Commissions and tagged immortal, milton keynes, MMA Training, Opie Frazer, stacey bushes. Bookmark the permalink.